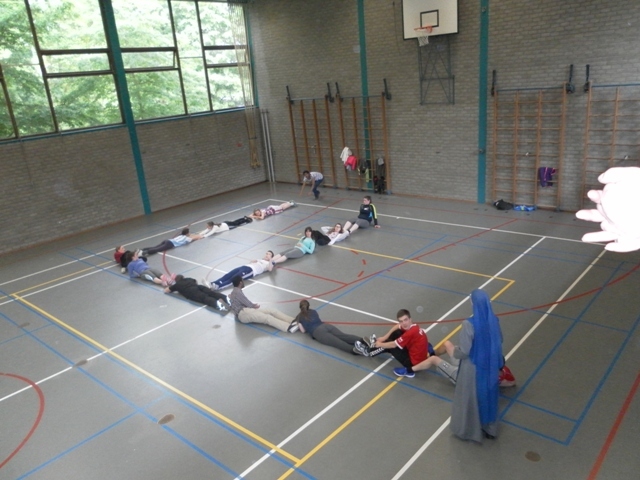 From the May 29th to the 31st the second Youth Gathering took place in the Province of Northern Europe in the convent of the Servants of the Lord in Brunssum, Holland. 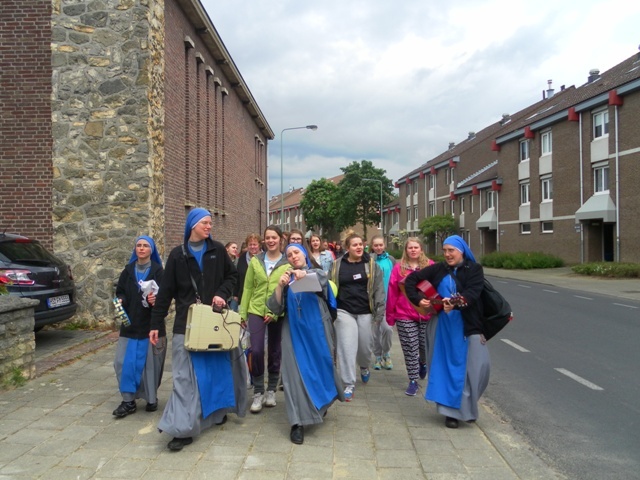 The youth and sisters who came from Iceland, Ireland and Lithuania began arriving a few days earlier and those from Holland and Luxembourg arrived on Friday and the Youth Gathering began that same evening. Members of the Institute of the Incarnate Word from Italy were invited to help: Fr. Marcelo Lattanzio, IVE, a deacon, Nicolas Grace and two seminarians Eski and Andreas. We are enormously grateful to them. The IVE fathers, missionaries in Holland, Fr. Tristán Pérez, Fr. Mario Rojas and Fr. Ismael Quequesana were also present. Because of the theme, “The True Way to Happiness”, Fr. Lattanzio presented different plenary talks about the Beatitudes. The Beatitudes remind us of the Lord´s call to follow the path with Him which, though it is difficult, brings us to true happiness. 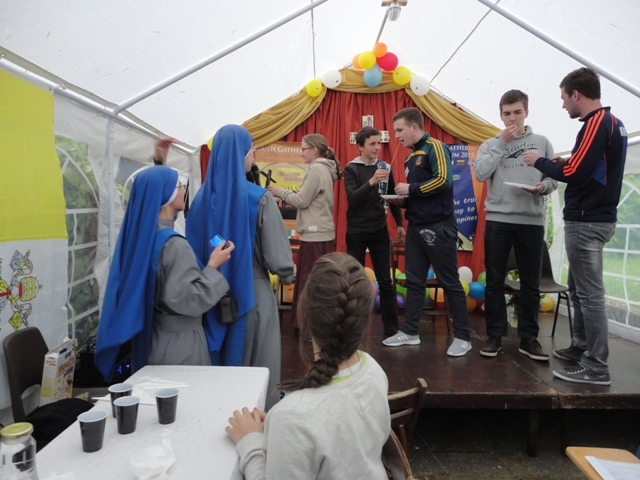 During the two days of the Youth Gathering, there were different workshops like: volunteer work, means of social communication, preparation for marriage, Jesus Christ and the true Church, the Holy Shroud, the history of the World Youth Days in preparation for Krakow, a video about the Holy Mass, and the Consecrated Life. The youth were really content and very thankful because these are current topics that directly affect the society. During the expositions and the discussion groups, they asked very interesting questions. These young people surely came because they were looking for happiness. Their smiles during the different activities throughout the day reflected that they had found it, especially during the moments of prayer, in the Holy Mass, confessions, the multi-lingual rosary procession through the streets, the bonfire and marshmallows, sports time, team games, on stage, the songs and different skits. We give thanks to God for all the benefits we have received and for all those who helped this year. We ask the Most Holy Virgin, she who is the Mother of the Incarnate Word, for these young people, that they may live the beatitudes and that they may have no fear to throw themselves whole-heartedly into the adventure of the search for true happiness.